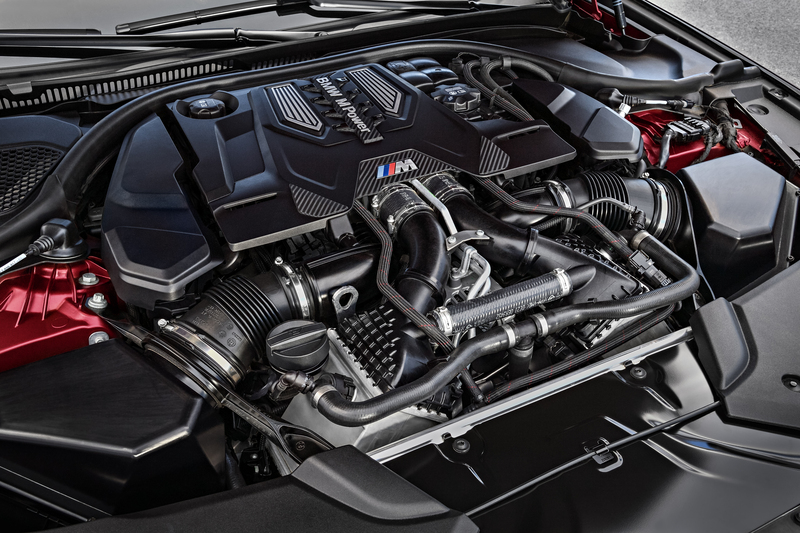 The all-new BMW M5 is loaded with advanced mechanical and electronic systems that make it an amazingly capable and adaptable sports sedan. 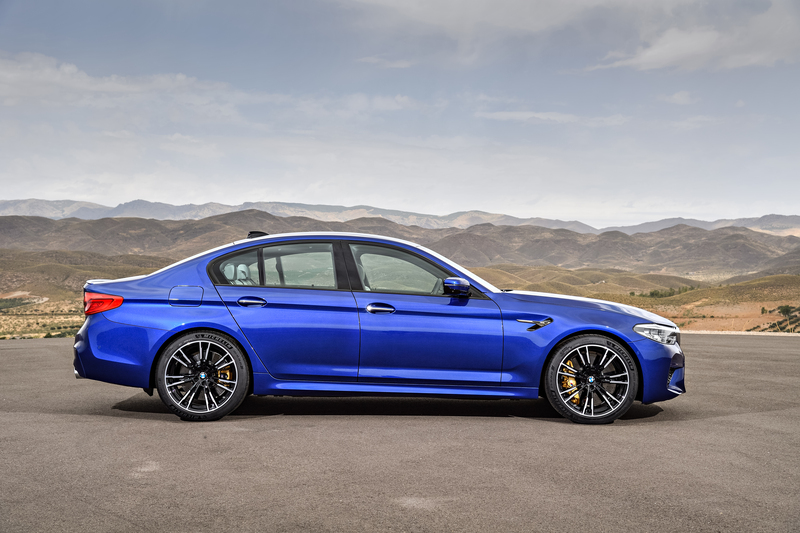 Though not for me, the car’s absolute performance will surely earn it a spot among the M5 greats. Two red thumb-buttons can be programmed with unique chassis and powertrain settings. This new generation of BMW’s high-performance grand touring car is, without a doubt, technologically amazing. 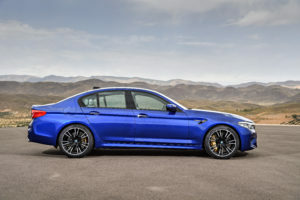 In fact, the M5 is so good that it might even spark a debate of the value of its $100,000+ price tag. More likely to be discussed, aside from cost, are the car’s incredible limits. This vehicle effortlessly accelerates and decelerates from triple digit speeds and feels relaxed at any sane speed. The 4.4-liter turbocharged V8 delivers a big shove once on full boil and the high rpm 600-hp power peak encourages revving. Peak torque however, is achieved at a low 1,800 rpm so downshifts are rarely necessary. 600-hp turbocharged 4.4-liter V8 generates big low end torque and power output continues to build as the revs climb. When hustling around at full-tilt, the transmission rips through the gears in less time as comfort is traded for speed. The summer-spec tires provide the ultimate adhesion as the standard all-wheel drive system and adaptive suspension work to put the power to the ground seamlessly and maintain a controlled balance. The all-wheel drive is tied into the chassis network to ultimate chassis control and varies the amount of torque between the axles as the rear axle does is equipped with variable locking ratios as well that based on several factors including the driver selectable dynamic settings. In the more performance oriented Sport + Mode, the advanced stability control system is the safe and fun setting. 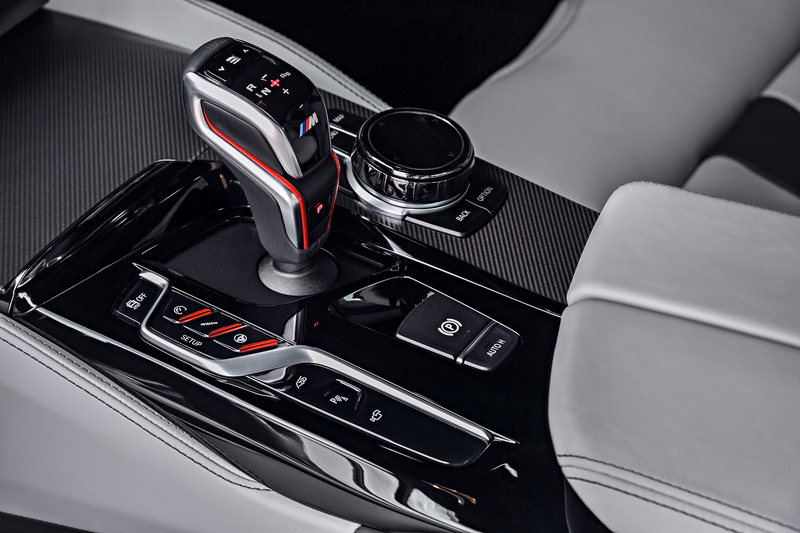 Stay in the throttle around a turn and the rear-minded nature of the all-wheel drive is displayed and rotation is easily to come by as the car’s balance and network of chassis systems allow for a controlled slide yet can immediately step in if necessary. For absolute shenanigans, the stability control can be turned off and power is directed solely to the rear axle. The quick steering, firm suspension, and endless power mean endless power slides are still on the menu. 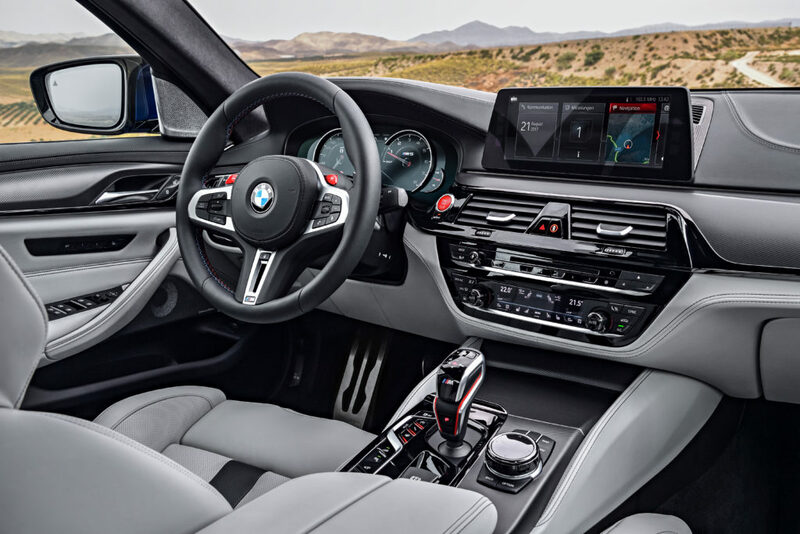 Luxurious interior with optional active driving tech help the M5 perform commuting duties. Don’t want to freak people out during the morning commute? Toggle the settings for the steering system, drivetrain, suspension, and exhaust to comfort and catch up on Howard Stern. The cabin feels insulated from wheel bumps and road noise. 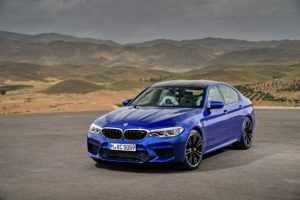 It seems that the weight savings obtained by utilizing more advanced materials went directly back into the luxury features that are expected of today’s super sports-sedan. From the heated, ventilated, and lighted seats, to the wonderfully soft steering wheel, the digital gauge cluster, and soft close doors, the M5 can be had to satisfy those who might demand more. Various electronic settings change the character of the car. 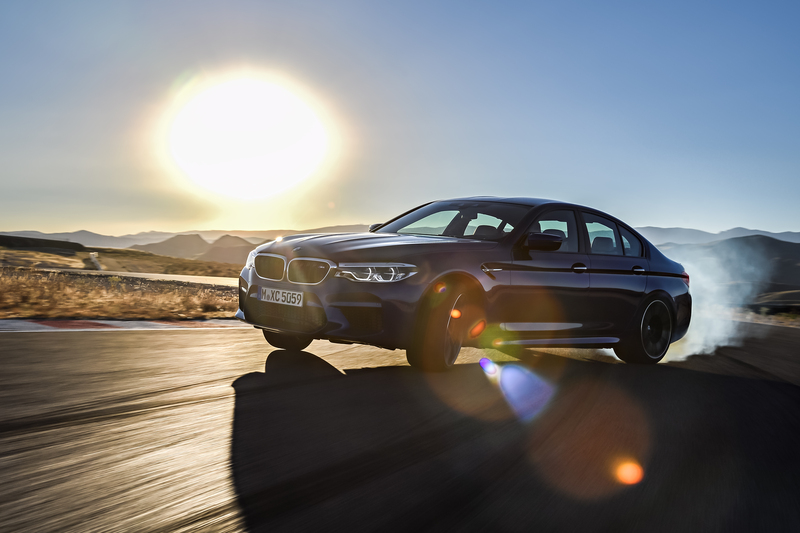 The M5 offers the complete package – its not only capable of being a weekday commuter but also a high performing weekend racer. The formula is a true engineering feat, however, the M5’s only weak spot is revealed when driven somewhere in between those two ends of the spectrum. The car’s amazingly high capabilities are well higher than any sane driving speed on a winding mountain road. Because of that, driving the M5 at 75% isn’t as satisfying as one might have felt a few decades ago. 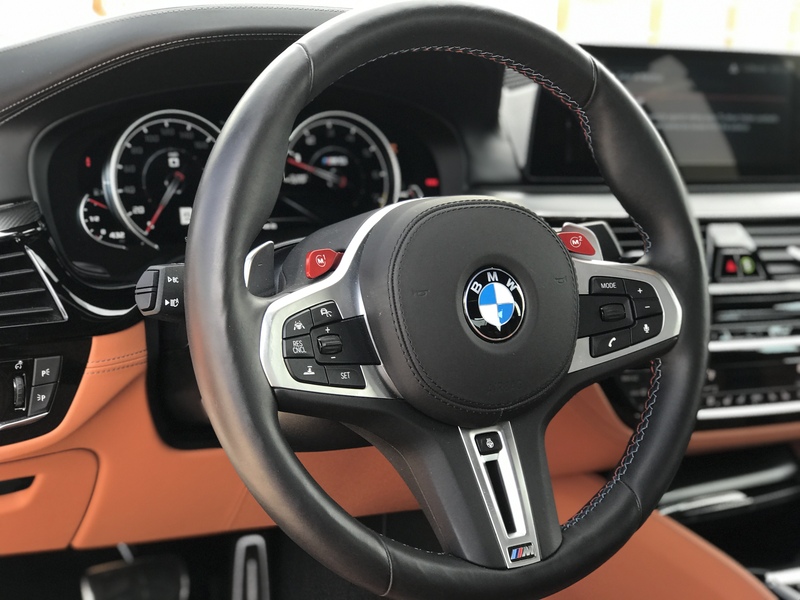 BMW is an engineering-minded brand so it makes sense that what can be measured gets improved but it’s this same brand that showed us that there was more than what can be quantified. The new M5 didn’t stir my emotional-side as I had expected given its history – instead I came away amazingly impressed with how much performance could be had for so little compromise…no matter the price. Previous Previous post: 2019 Volkswagen Jetta SEL – A new sense of value for the Jetta.